We love our kitties, don’t we? All those hilarious cat videos online, the endless hours of fascination and entertainment they bring us in our homes, and the kind of love that only they can give. 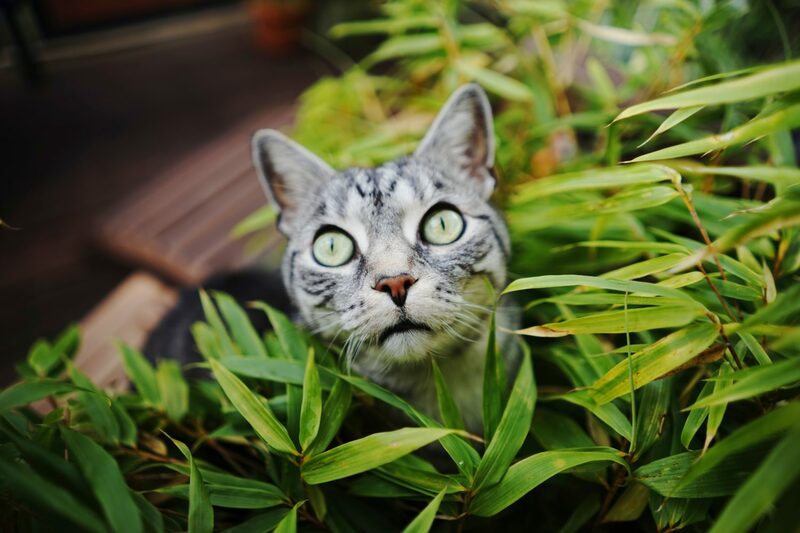 We have fallen in love with their charms, which is precisely what they had planned all along 🙂 If you’re here because you adore your fur baby but would really like to know the houseplants that are safe for cats, you’re in the right place! Here is a list of some great options that will make you feel at ease and your cat even safer. If you are looking for a pop of color in your home that won’t hurt your kitty, African Violets may be the plant you’re looking for. 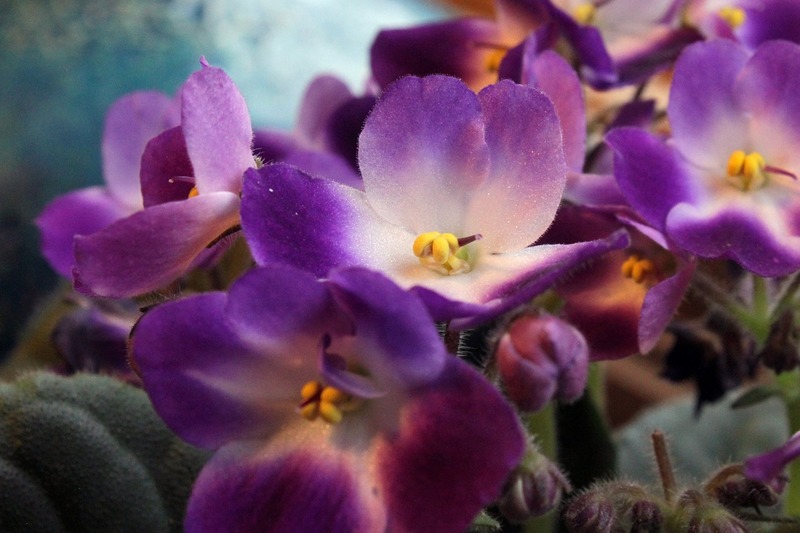 The benefits of choosing African Violet? Well, it made NASA’s list of the top plants to purify the air in your home. 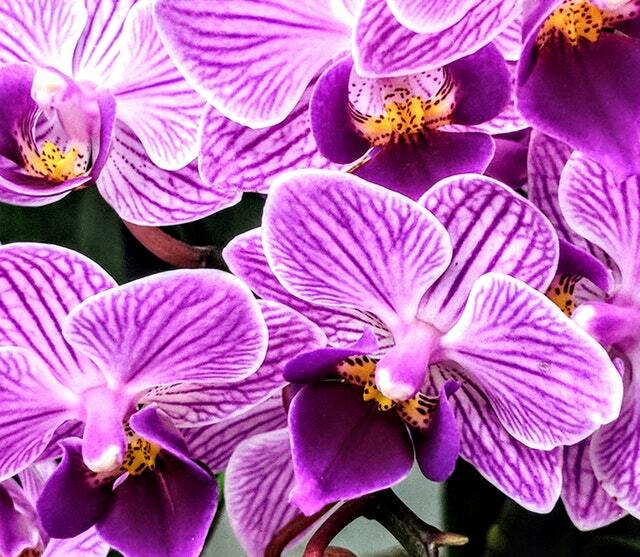 It has also been studied that the color of purple stimulates your brain by releasing oxygen and adrenaline, the combination of which actually make you feel calmer, naturally. How about that! African Violets are good for folks who suffer from allergies, as they don’t tend to produce smells that trigger nasal irritation. 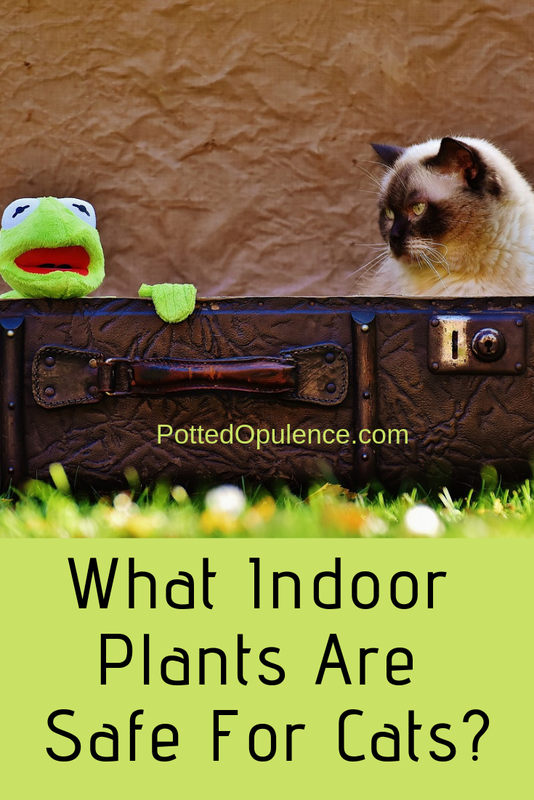 I personally have a family member who suffers terribly from allergies in this form and she is able to enjoy this plant in her home with zero complication. Most other plants will cause her to have a reaction. African Violets can grow under artificial light, so if you have rooms in your home that are more on the dim side, these are still an option for you. With natural light, they prefer bright but indirect light. Lower light levels can be tolerated but only if the exposure is for a longer period of time. Boston Ferns are one of the oldest plants around. Some sources even suggest that it is the oldest plant on earth. There’s a lot to be said for that all on its own. 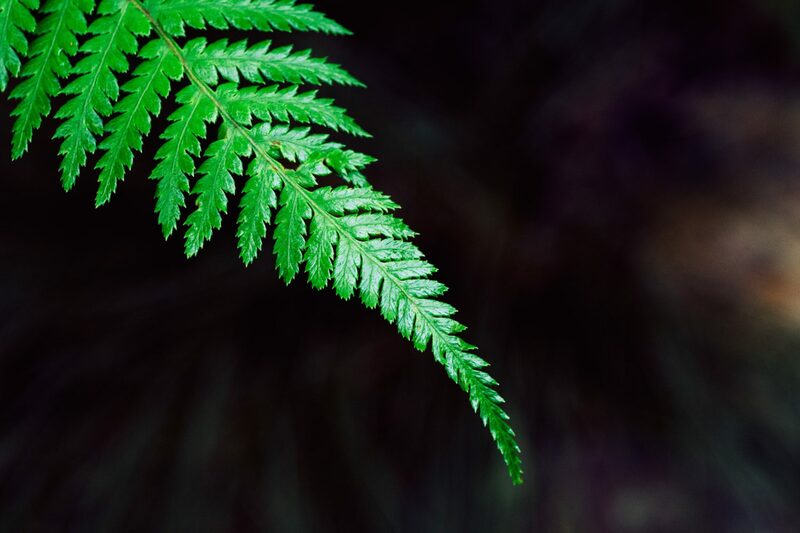 Boston Ferns are staples for many homes and there are several reasons for that. They are one of the top air purifiers in the plant world available. They remove formaldehyde, xylene and. toluene. If you suffer from dry skin and your home has lost its humidity, Boston Ferns work to increase the humidity in your home. For many people, this small change alone helps alleviate their in-home cold weather effects. They are simple to care for but do not like direct sunlight. Around two hours of indirect bright light per day (especially in Fall and Winter) should keep this plant staying healthy. Echevaria succulents are awesome. They come in such a wide variety of rose shapes, colors and sizes. They are typically very inexpensive and very easy to care for. 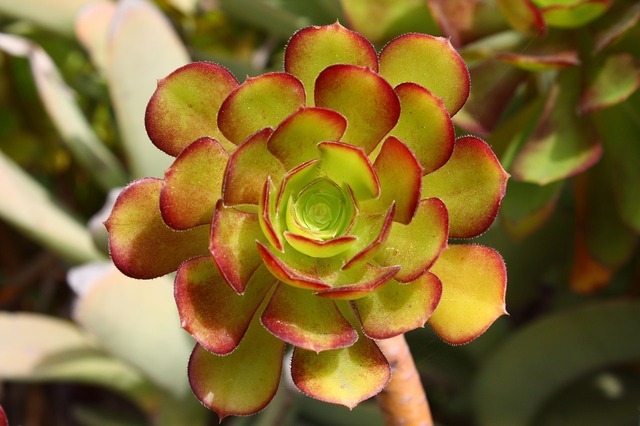 If you are someone who often forgets to water your houseplants, Echevaria will be your best friend. They do like bright light. They can go long periods of time without water. As long as 2-12 weeks once they are mature plants and established in their pots. They sort of thrive on some neglect, as over-watering is the fastest way to kill an Echevaria. 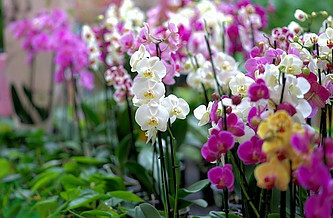 Ahhh, my all-time favorite plant – Phalaenopsis orchids! They are what inspired this site, PottedOpulence, after all. It does my heart so much good to know they’re on the safe for our kiddos list. 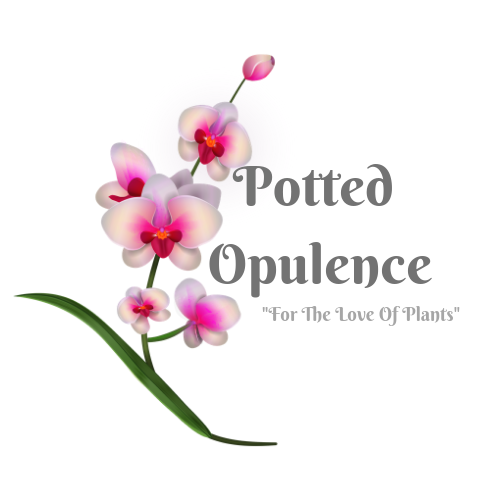 Orchids are great at removing xylene from the air you breathe. 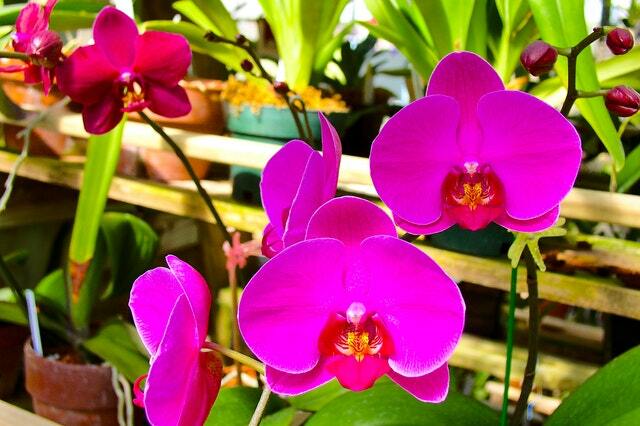 That means if you’re painting your home, rehabbing, or know someone who is, an orchid is a great addition to have. They’re not just spectacular to look at, you know! 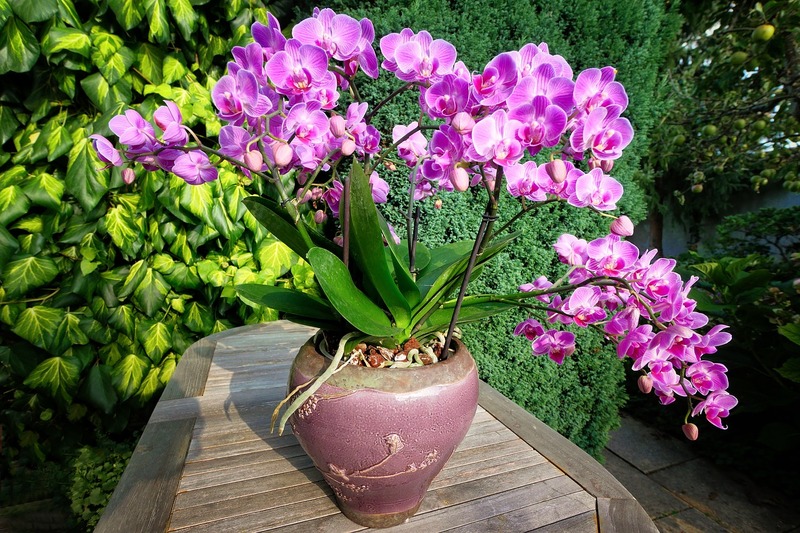 As you may know by now from reading other articles on my site, such as how to water orchids indoors, they are also quite hardy once you get the hang of them. They don’t require nearly as much attention as one might think and they will reward you with a bloom that is unmatched in its uniqueness and beauty. The Spider Plant is a really neat plant. It is one of my husband’s all-time favorites, and I must admit, I’ve become pretty fond of it myself. Turns out, there is much to love about this one. This is another plant highly recommended for someone who needs low maintenance. These guys stay pretty happy and are incredibly hardy. We water ours once per week, sometimes even less and they are thriving. They enjoy most indirect lighting but are very adaptable to lower light levels. They also do well in hanging baskets. Their “babies” grow as offshoots and can easily be rooted in dirt to grow new plants. They are excellent at air purification. Placing these in areas where carbon monoxide levels are higher such as near fireplaces or in kitchens is especially wise. They remove formaldehyde, styrene, carbon monoxide and benzene. You really can’t go wrong with spider plants in your home. These daisies are sure to make you smile! The pop of color they bring into your life, few others can match. 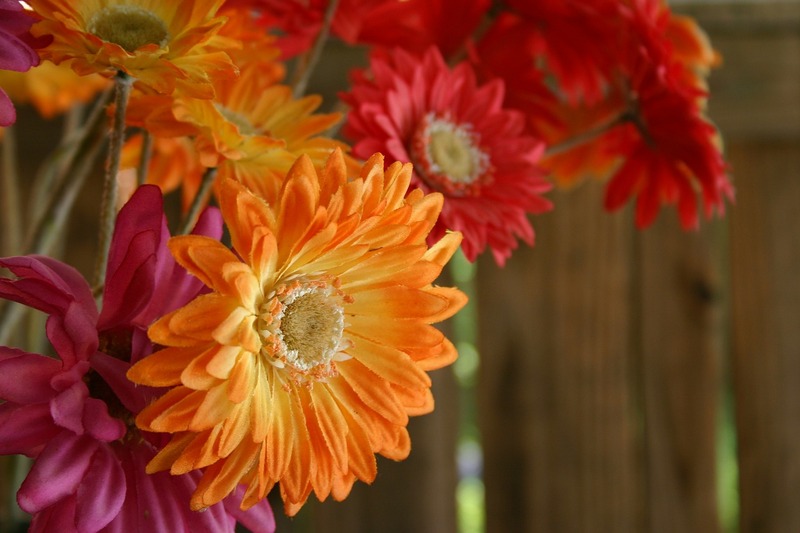 Gerber Daisies are great for sleep! They release oxygen all night long and have been shown to benefit people with sleep apnea! Adding them to your bedroom is most beneficial, but they will purify the air wherever you put them. They will need about 6 hours of direct sunlight every day though to keep them healthy. Because of that, dimly lit rooms are not a good fit for this daisy, unless you are willing to move it into sunlight during the day and move it again each night. Making sure they are in well draining pots (not sitting in water) and misting their leaves a couple times per week will help them stay fresh for you. They remove trichloroethylene from the air and benzene as well. Air purification and cheerful color in your home is hard to beat. Calathea are powerful air purifiers and are absolutely fascinating in general. They are a tropical plant, native of South America. Calathea is most known for opening its leaves during the day and closing them (folding up) at night. You may have heard them called Prayer Plants for this very reason. Calathea plants prefer shadier environments, as they originally came from the jungles where little direct sunlight was available. 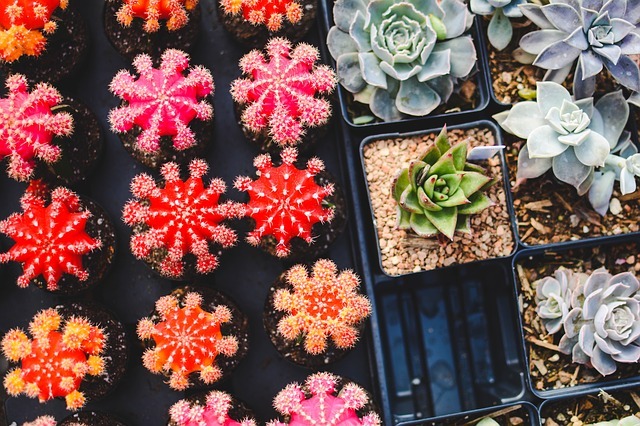 For this reason, you can place them in a shady, darker spot of your home with very little, or only filtered sunlight such as a west facing window provides. 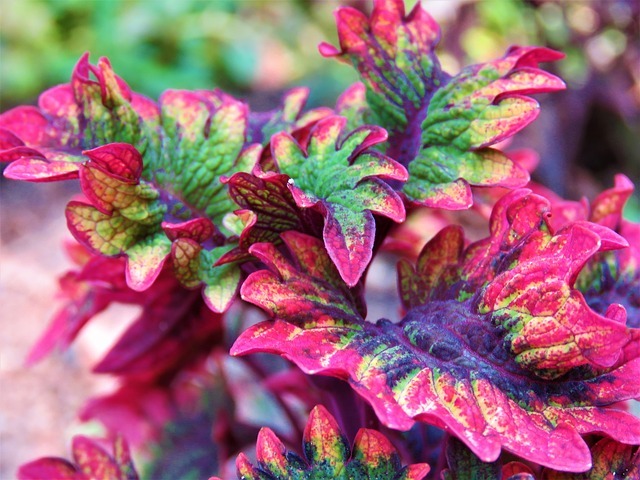 They are sure to brighten up that space with their beautiful variegation. With so many options to choose from, you’re sure to find the right colors for you. I personally found Calathea to be slightly high maintenance but their unique qualities and colors make them worth it, figuring out what they really need. They will thank you for it with stunning foliage. There are a number of options available for those of us who love pets, but really love plants too. This is by no means an exhaustive list, but hopefully I’ve been able to highlight some options of interest to you. If you are looking for an exhaustive list on toxic vs non-toxic houseplants for cats, please visit the ASPCA list of plants. They have done an amazing job creating a resource for all of us to use. Over time I will be adding some plants to this list. 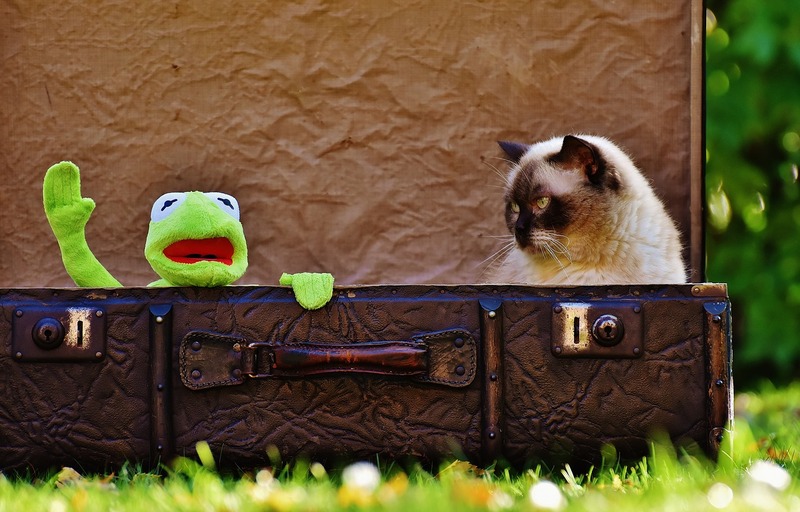 If you have any personal favorites that are safe for cats (and dogs), I’d love to hear from you in the comments section below. Have a blessed week! Have a kitty that loves chewing, digging and otherwise being naughty with your houseplants? Have a look at this helpful video 😀 We took a few pointers from this video and they worked like a charm! Share above image on Pinterest 🙂 Thank you! My Orchid Is Dying, What's Wrong?